Michael Gonzalez is the Sr. Physical Security IT Systems Administrator at Hawaiian Electric Company, Inc. 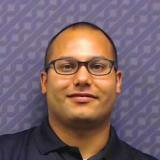 He manages and integrates the various physical security infrastructures. He plans, coordinates, installs, maintains, and optimizes the company’s physical security and surveillance systems, as well as provides training for operators and supervisors. He also manages the day-to-day operational support of various security infrastructures and systems, and works to resolve issues directly or through facilitation and engagement of third parties and integrators. Mike also independently manages compliance with physical security standards for critical infrastructure and recommends and facilitates the installation and programming of security countermeasures. Prior to this role, Mike was a security supervisor in the Hawaiian Electric Security Division, responsible for the Security Operations Center. He has been working in the utility security industry since 2001, when he started out as a security officer, then accepted various other roles with increased responsibility. Prior to working at HECO, Mike served in the United States Army as an infantryman during Operation Iraqi Freedom. Mike also served in the US Army Reserve as a military policeman. He was the recipient of the Security Systems News 20 Under 40 Award– End User Class of 2015. He completed his Masters in Organizational Management and Leadership, a Bachelors in Social and Criminal Justice, Security Management, and Organizational Management; and an Associate’s Degree in Electronics Engineering, all while serving as a security expert at Hawaiian Electric Company.